St. Cloud Cathedral 9, River Lakes 1: Six different players registered multi-point games as No. 1 St. Cloud Cathedral advanced past No. 5 River Lakes in the Class 1A, Section 6 semifinals. Jack Smith led the way for the Crusaders with three goals and two assists. Blake Perbix also helped lead the way with two goals and two assists. St. Cloud Cathedral was fueled by a six-goal second period and five power play goals. 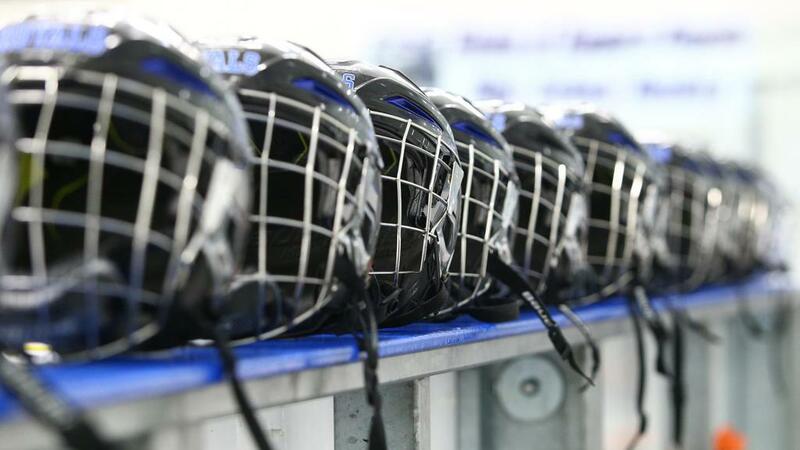 St. Thomas Academy 9, Burnsville 2: A six-goal first period was the difference as No. 1-seeded St. Thomas Academy rolled to a 9-2 win against No. 4 Burnsville. Six different players tallied goals in the win, including Ryan O'Neill, who tallied a hat trick for the Cadets. Payton Matsui scored twice and was the only other St. Thomas Academy player to have multiple goals in the win. Brehdan Engum and Logan Kittleson were the two players to score for the Blaze. Eastview 1, Rosemount 0: One goal was all it took for No. 2 Eastview as the Lightning snuck past No. 3 Rosemount to advance to the Class 2A, Section 3 final. Zach Anderson scored the game's only goal in the first period. Ben Beattie held the Irish off the scoreboard with 10 saves while Ben Garrity stopped nine of 10 Eastview shots. White Bear Lake 4, Roseville 2: After falling behind 2-0 in this Class 2A, Section 4 semifinal, No. 1 White Bear Lake rallied with four unanswered goals to advance to the section final. No. 8 Roseville got things going with goals from Carver Martin and Reginald Morrow. Billy Rose scored to get the Bears on the board in the first period and tallied an assist on Max Jennrich's game-winning goal. Stillwater 6, North St. Paul 0: No. 3 Stillwater opened Class 2A, Section 4 play by rolling past No. 6 North St. Paul in the quarterfinals. Five different players tallied goals for the Ponies, including Andrew Eichten, who had a pair of goals in the win. Adam Eisele was the only other Stillwater player to tally multiple points as he contributed a goal and an assist. Ponies goalie Jesse Brown registered a shutout with 12 saves. Hill-Murray 4, Irondale 2: Four different players scored for No. 2 Hill-Murray as the Pioneers took down No. 7 Irondale in the Class 2A, Section 4 quarterfinals. Michael Fleischhacker scored the opening goal for Hill-Murray. The Pioneers continued to increase their margin thanks to goals from Vincent Hurley and Lucas Wahlin. For the Knights, Griffin Bourassa stood out as he tallied a goal and an assist in the loss. Centennial 4, Anoka 0: A goal and two assists from Lucas McGregor and 14 saves from Travis Allen made all the difference as No. 1 Centennial defeated No. 5 Anoka to advance to the Class 2A, Section 5 final. The scoring for the Cougars started in the second period with a goal from Hayden Brickner. Centennial put the game out of reach in the third period with three goals that came from McGregor, Wyatt Schoephoerster and Joshua Hermes. Maple Grove 3, Blaine 2: After falling behind 1-0 in this Class 2A, Section 5 semifinal, No. 2 Maple Grove rallied past No. 3 Blaine to advance to the section final. The Crimson's rally was led by Matt Jaglo, who scored twice in the win. Trevor Kukkonen also helped lead the charge as he tallied an assist on each of Maple Grove's three goals. The Bengals got out to an early lead thanks to a goal from Cam Shoberg. Moorhead 5, St. Cloud 0: After a scoreless first period, No. 1 Moorhead rolled past No. 4 St. Cloud as the Spuds advanced to the Class 2A, Section 8 final. Moorhead got things going thanks to a goal from Luke Gramer. From there, the Spuds' offense was led by Jack Stetz, who tallied two goals and an assist in the win. Lance Leonard picked up the shutout while making 20 saves.